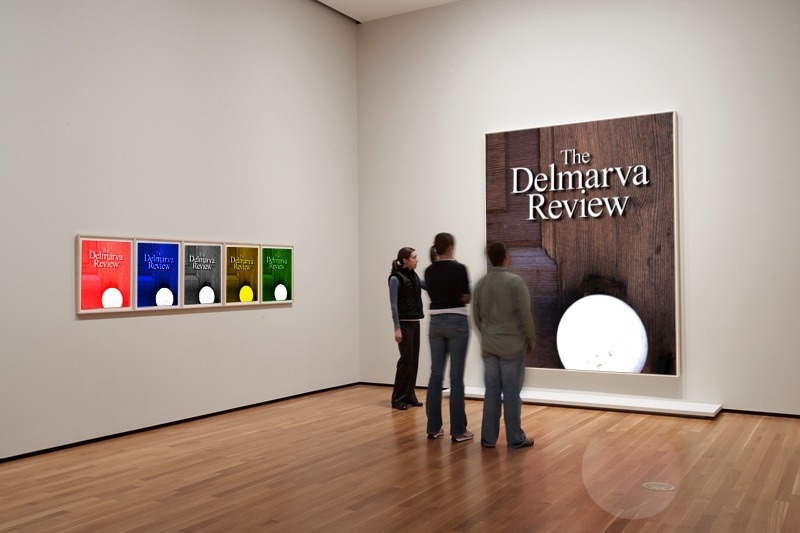 The Delmarva Review…so many choices. So many talented writers. Choices come with the weight of decision and responsibility, never to be taken lightly. That is what we feel as editors of The Delmarva Review. It’s decision time. While our literary journal is young, at seven years, submissions are beyond expectations. Over 1,000 writers submitted poetry, short fiction, and creative nonfiction for the coming issue. We created the Review as a new publishing opportunity for literary work in print, offering writers permanence and readership beyond borders. Standards are high as we welcome all authors. Our goals are to select writing that inspires and encourages writers to create their finest work. Literary writing is often considered the far end of the writing spectrum, reserved for the most skillfully created prose and poetry. Through the journey comes discovery, giving significance to the pursuit. . .for literature and for the writer. As editors, we will do our best to make thoughtful decisions, knowing we can only publish a sample of the work submitted. Editors will finalize selections over the next few weeks and contact the authors. Publication of Volume 7 is October 2014. On behalf of the publisher, the Eastern Shore Writers Association, we thank all the authors who have considered The Delmarva Review for publication. This is a privilege. We do not take it lightly. 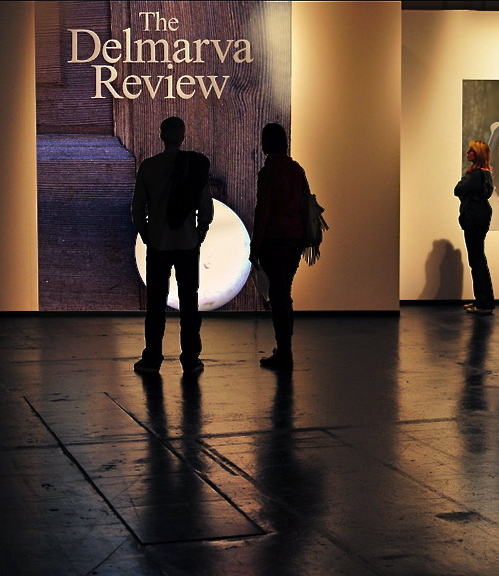 The Delmarva Review is published annually in print. A downloadable digital edition is available at Amazon.com. Website: www.delmarvareview.com. 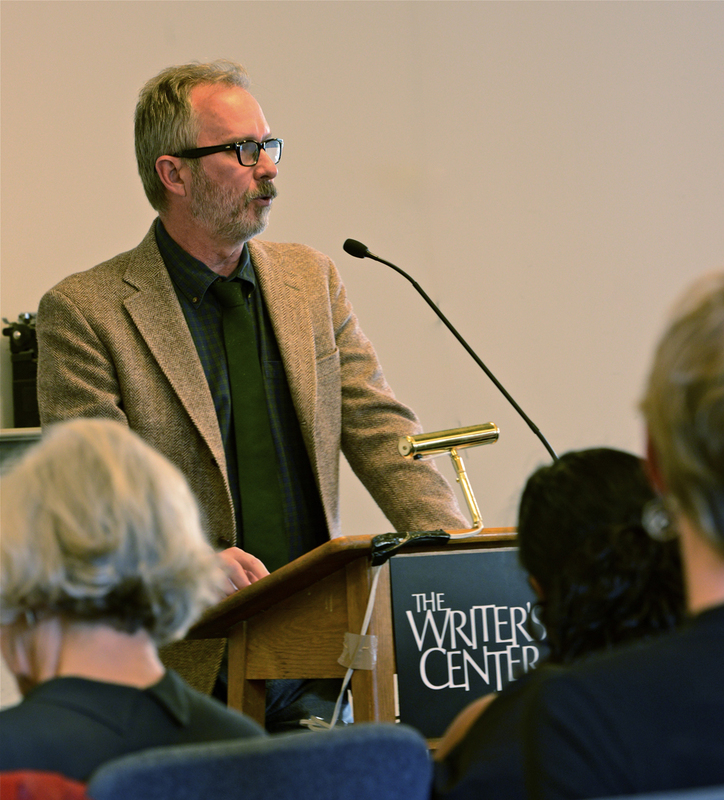 There wasn’t an empty chair as five authors took to the podium and read their writing from the new edition of The Delmarva Review, a journal publishing compelling literary prose and poetry. The venue was perfect. 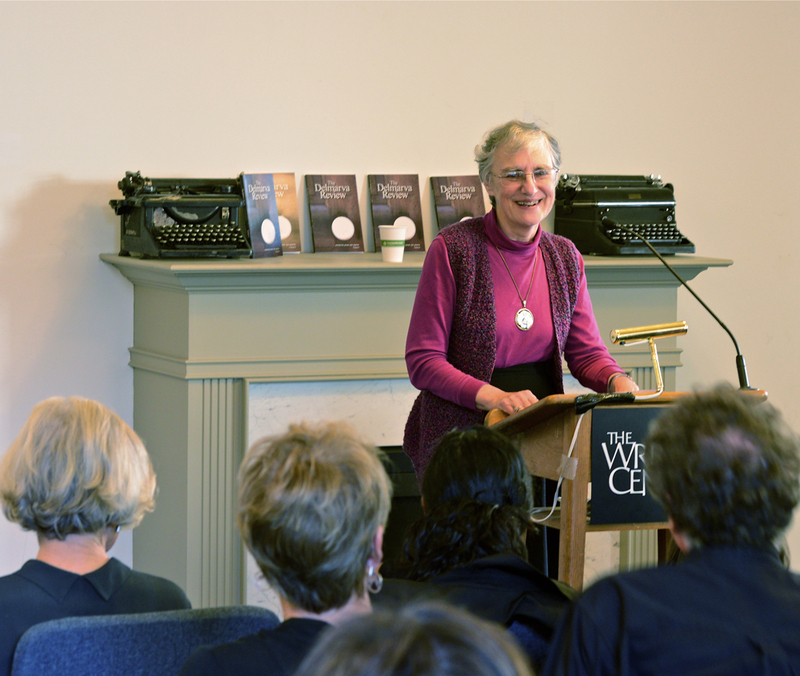 The Writer’s Center, in Bethesda, Maryland, is known as a special “home” to many writers. 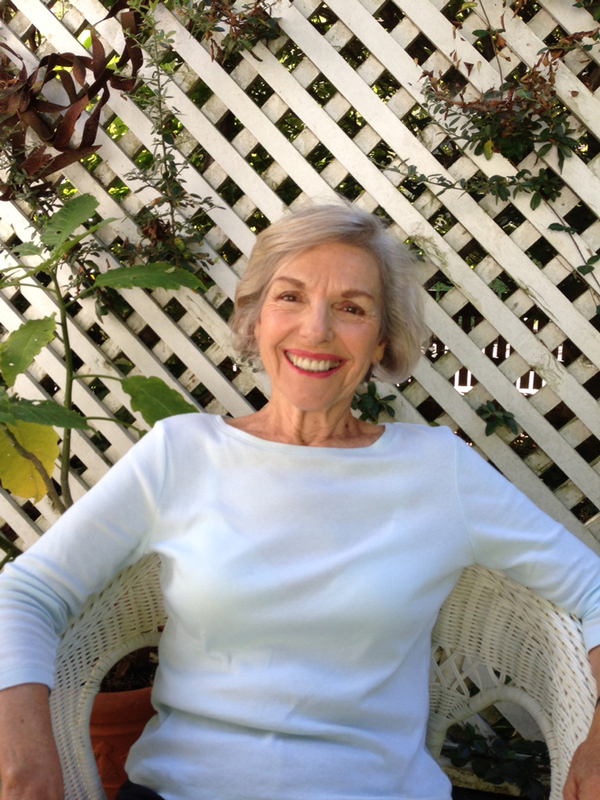 As one of the premier writers’ centers in the country, it welcomes and supports literary work (www.writer.org). The authors had never read together before, but their performances were so complementary that, taken together, one might think they were choreographed. 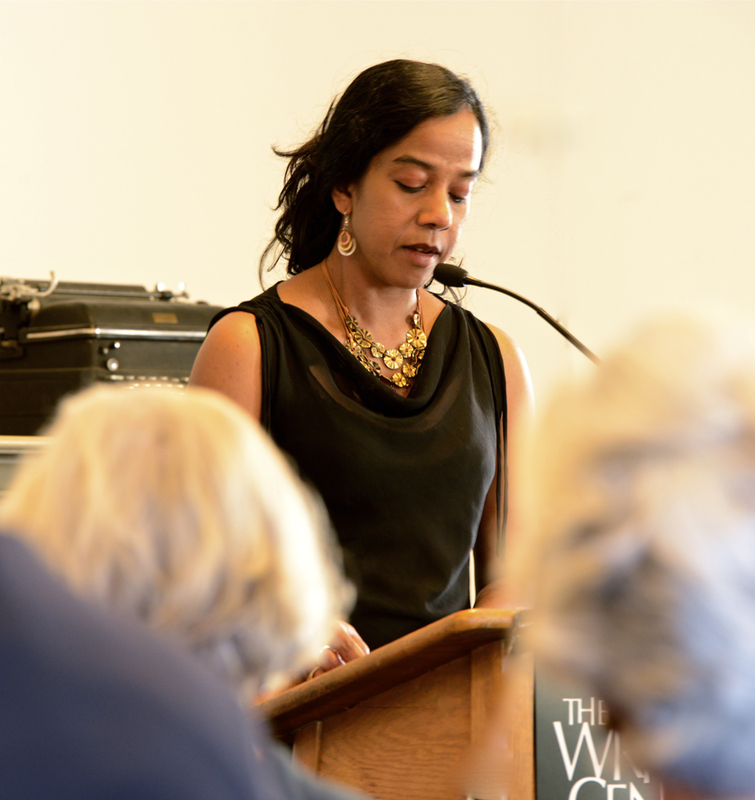 They read to an attentive, responsive audience that packed the house. 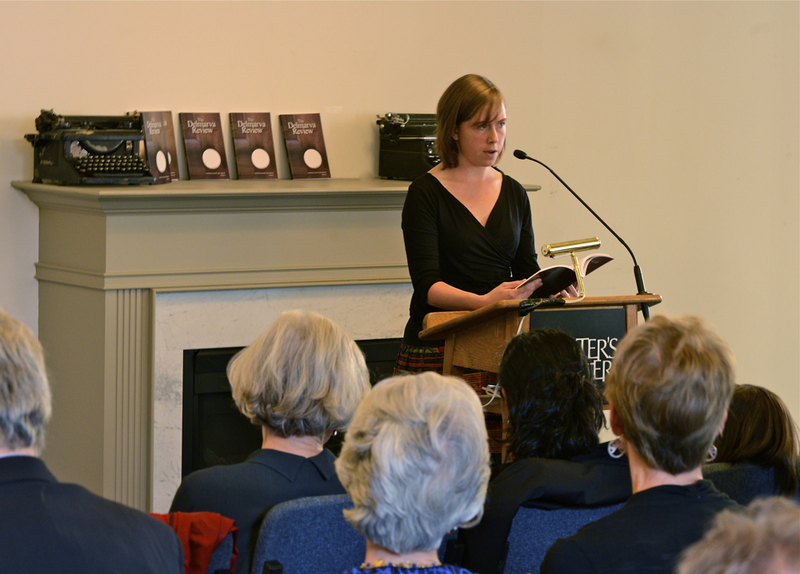 It was a memorable literary event. As executive editor, I am thankful for our five reading authors: fiction author Margaret Adams, of Baltimore, poet Judith Bowles, of Chevy Chase, MD, fiction author Ru Freeman, of the Philadelphia area, poet E. Laura Golberg, of Washington, DC, and essayist Ron Capps, Of Washington, DC. There is something magical to all of us as editors when we experience a reading. The words jump off the page as we hear the author’s unique voice…live. It often reveals a new dimension of the author’s deepest intentions. 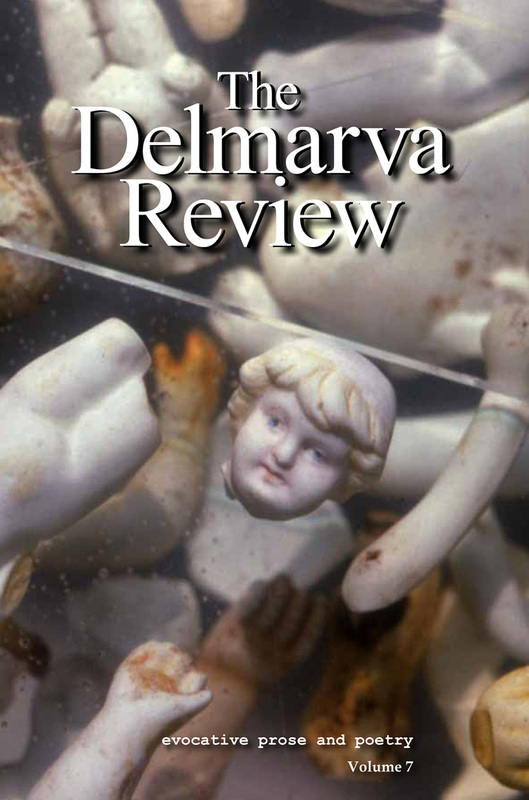 The Delmarva Review, Vol. 6, is published by the Eastern Shore Writers Association to encourage and inspire literary writing. 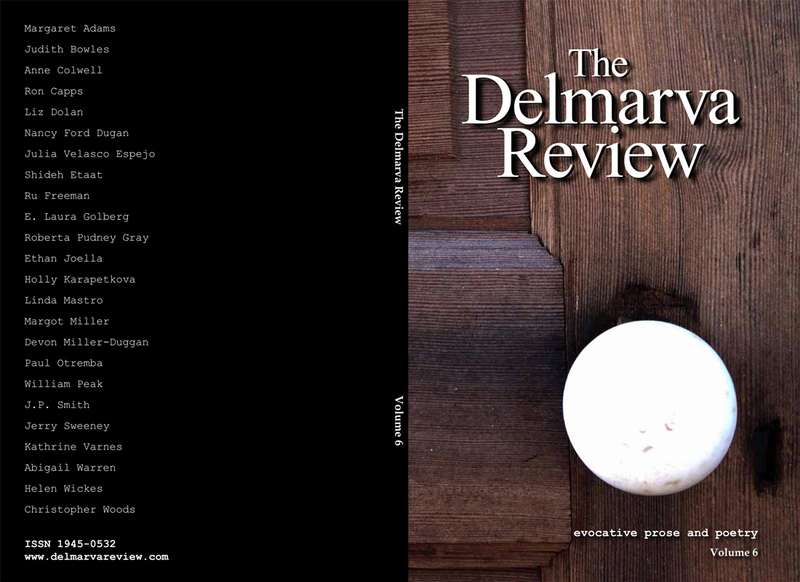 Print issues can be ordered through the website: www.delmarvareview.com. A digital edition for download to popular electronic reading devices is available at www.Amazon.com. The submissions period for Volume 7 is open until February 28, 2014. All writers, please see the Guideline page on the website.